I’ve been a bit delinquent in posting about our backyard chickens! It’s been 8 whole weeks since our first hen began laying and our hold-out hen started laying on the 4th of July. 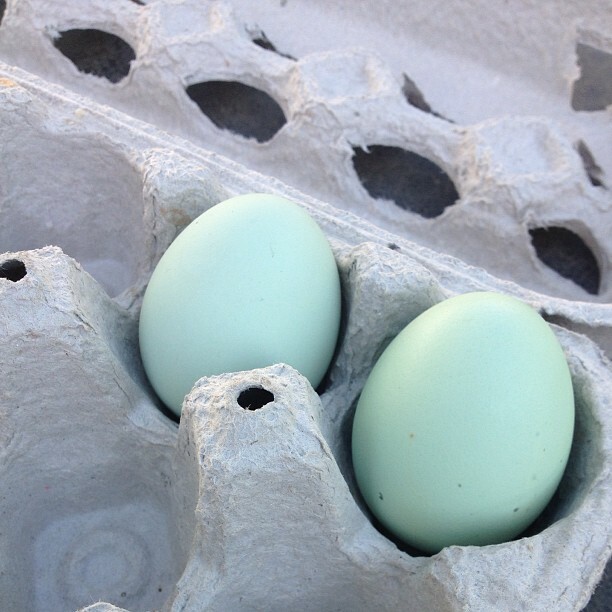 We are getting 3-4 eggs a day at this point – enough that we’ve started bartering with friends for homemade bread, etc. 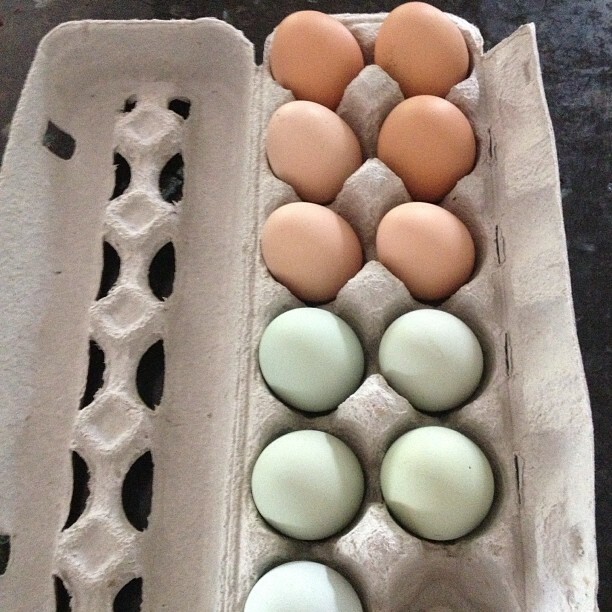 It’s magical I tell you – having fresh eggs. This last weekend the variation in colors blew me away, it was practically a rainbow of eggs! It’s been almost a week since our first hen began laying. We’ve had six beautiful blue eggs from her and yesterday our sliver laced wyandotte layed her first egg! I snapped a quick pic with the two laying hens and each of their first eggs. The eggs are still a little on the small side, but I’ve already seen an increase in size from our ameraucana over the last week. It’s quite a delight to watch the hens settle into the nest to lay the eggs, adjusting the nesting material to suit their needs. I’m a little surprised our buff orpington isn’t laying, as she’s the oldest in the flock by two weeks. She’s not showing any signs of laying anytime soon either. 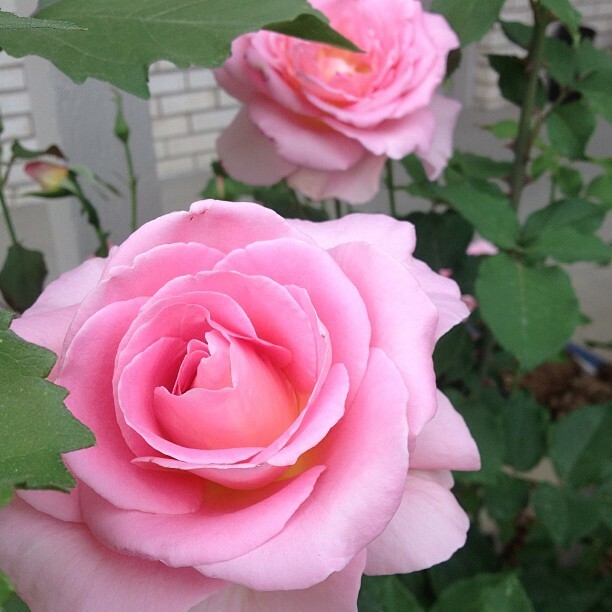 Maybe she’s just a bit of a late bloomer? And this time she layed it in the nest box next to the blown glass eggs my grandmother gave me. My great-grandmother used them with her chickens in the 1920s and my grandmother saved them all this time. How cool is that? Edited to add: a farm fresh brown egg for size comparison (below). I know, the summer solstice on June 21st marks the official start of summer. My garden however, doesn’t know that distinction. 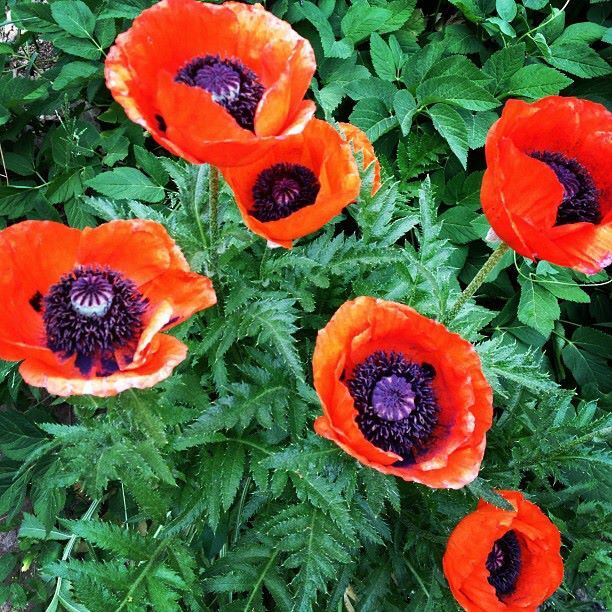 Roses, peonies, and poppies are blooming; I’m harvesting radishes, lettuce, kale and spinach; and the corn, squash and beans are growing like weeds. 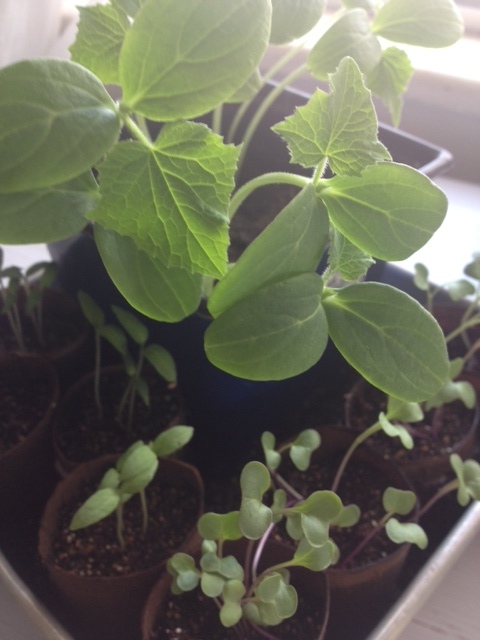 I’m happy to say that the seedlings I started in March are doing great! Last year I blogged about the dilemma ‘to seed, or not to seed‘ when planning for a summer vegetable garden. While I didn’t plant from seed last year (because of travel) this year I am. I feel more strongly than ever about knowing where my food comes from. This year I decided to try something from a post I’d recently seen on Pinterest. 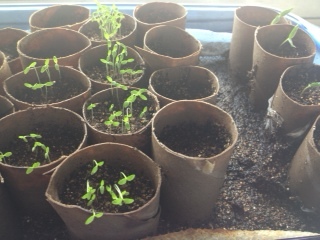 It suggested that paper towel and toilet paper tubes are perfect for starting seeds. And they are! They don’t cost anything, they can be planted directly in the ground, and using them avoids sending more material to the landfill. The first step was saving our toilet paper and paper towel tubes for the last few months. Then when it was time to plant seeds I cut each of them down to ~2 inch segments and lined them up in glass baking dishes and filed them with dirt. Once the seedlings start getting too tall for their ‘greenhouse’ I pull them out and place them in a separate baking dish without a cover. I’ve filled in the vacancies with successive plantings including lavender, marigolds, and fennel. Believe it or not, I’ve actually run out of tubes! I planted the cucumber seeds in a leftover plastic plant pot from last year’s seedlings. Some of the tubes are starting to unravel though; I’m hoping they’ll hold together until I can put them in the ground. We’ll see!